A recent article from The News talks about the Internet of Things and how emerging technology is making an impact in the HVAC and refrigeration industry. This is a great article which gives a high-level overview of what the “IoT” is and how these systems are being set up to maximize efficiency and increase safety. You can read the full article here. This quote perfectly sums up the benefits of an IoT system. Before more advanced sensor technology, manual processes existed to record temperatures or check on failing equipment. These physical checks are more prone to human error and only allow for businesses to react to problems rather than receiving alerts if conditions happen to fall outside safe levels. The Internet of Things makes remote monitoring of environments or machines easy! Monnit provides over 50 different types of sensors to track any type of application. Temperature sensors are our most popular sensor because of the peace of mind they provide users. Walk-in refrigerators/freezers are constantly running, protecting valuable food, medicine, or other items. While these pieces of equipment are always on, there often is not personnel present to keep an eye on these systems around the clock. The costliest damage usually occurs at night when there is no one around to immediately handle any issues. 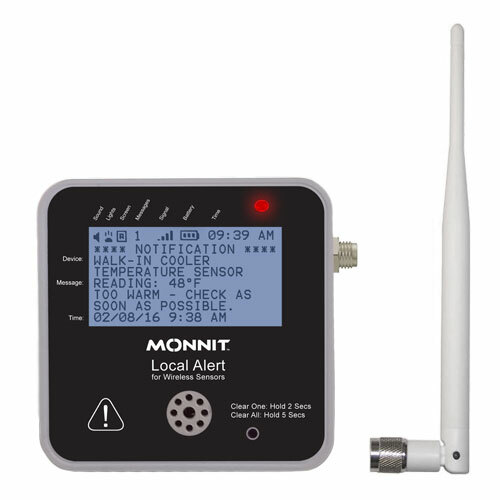 With a Monnit remote monitoring system in place, maintenance staff or managers can receive alerts to any internet enabled device should custom set conditions be met or exceeded. Now you can rest easy at night knowing your business and bottom line is being protected 24/7. In addition to real-time updates on running refrigeration systems, Monnit sensors and software can provide deeper insights into the inner workings of your business. Some of the equipment related to everyday businesses would include HVAC systems for medium to large buildings. With so many moving parts, problems can occur in a number of different places. Monnit has plenty of options to remotely monitor these components and can create a custom solution depending on your company’s needs. Five of the more popular sensors are A/C current meters, quad temperature, vibration meters, air flow detection, and duct temperature. You can use these sensors to not only detect potential problems (lack of air flow, high/low temperatures, limited or too much power consumption, excessive vibration, etc.) but also to see if these problems are caused by any variables in your environment. Are electricity costs high because your system is kicking on in the middle of the night when no one is in the office? Is there a specific time of day more energy is used compared to another? What is happening during those hours? If decision makers can greater understand why HVAC or other systems operate the way they do, direct correlations can be made to a physical environment. From there, any potential issues can be addressed and organizations save a bunch of money. In every pharmacy or laboratory, strict standards exist when it comes to controlling the environment. There is special equipment to regulate, temperatures in refrigerators/freezers to monitor, personnel to track, and samples or medicine which needs to be cared for. Monnit wireless sensors can significantly help with supervising all of these in-depth processes. Mix and match sensors to create a custom solution for your needs and receive alerts to any internet-enabled device should conditions fall outside of safe levels. It is no surprise that exposing vaccines or other medicine to high or low temperatures can reduce their potency and effectiveness, increasing overall risk. Fortunately, Monnit has a solution to the varying temperature fluctuations that can occur in pharmaceutical refrigerators and freezers. While our technology does not address the defects of faulty equipment, it does allow users to receive real-time updates on the status of freezers and refrigerators. 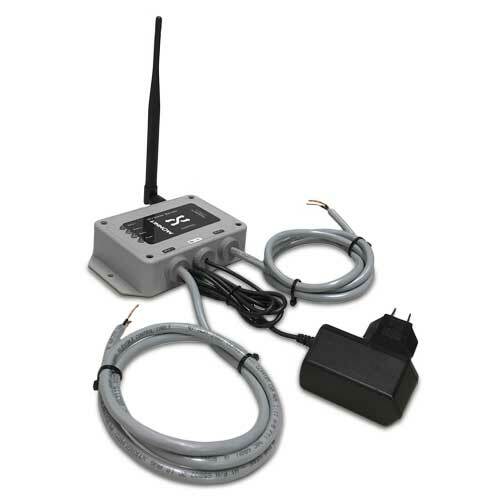 Monnit wireless temperature sensors can be placed anywhere and are very customizable depending on your needs. For example, users can set custom temperature thresholds (like above 46°F or below 35°F) and receive alerts to any internet-enabled device should conditions go outside safe levels. Monnit sensors are able to record temperatures every 10 minutes and can check threshold levels up to 250 times between recordings. This is a lot more data being generated than the standard mandate of recording 2 temperature readings a day for vaccines and other medicine. All Monnit products are CFR 21 part 11 compliant, our sensors and software can completely replace the old-school method of manual tracking temperatures. In addition to tracking refrigerators and freezers where samples are stored, Monnit creates wireless sensors to help with other areas of a laboratory. Special equipment such as centrifuges can be tracked using a vibration meter (accelerometer) to detect defaults in mechanical movement. You can also attach an A/C current meter to monitor power consumption and ensure equipment remains functioning even when personnel are not present. Motion sensors are perfect for hallways or at access points to restricted areas. Open/Closed sensors can be used to track access to certain rooms, cupboards or storage areas. 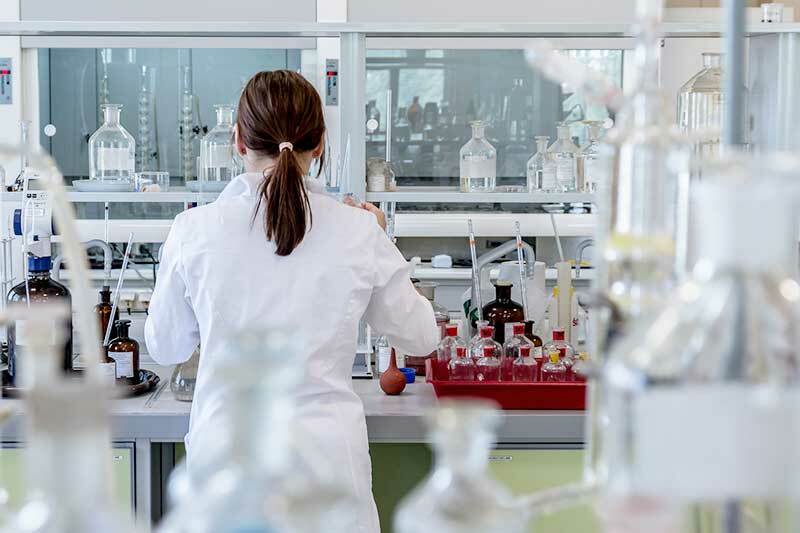 Humidity, temperature, water detection, CO, and other sensors can help monitor a laboratory’s environment, protecting both equipment and workers. There are plenty of options to choose from whatever your company’s needs may be. One of the easiest ways to implement additional safety into any laboratory or pharmacy is to adopt a wireless remote monitoring system. All of Monnit’s sensors and gateways can be implemented in existing infrastructure. There is no complicated installation required, most networks can be set up and start recording data in less than 10-15 minutes. This is really a simple solution which can save companies tens of thousands of dollars in spoiled inventory or lost equipment while providing the public with maximum peace of mind knowing medicine they receive is of the highest quality. Ensure your business remains profitable and operational by using a Monnit remote monitoring solution. SALT LAKE CITY, UTAH – November 8, 2017 – Monnit Corporation (www.monnit.com), the leading provider of low-cost, remote monitoring IoT solutions, announced today the strategic addition of a top-level business executive to increase service in the European markets. Frederic Luu joins Monnit to escalate European sales and business development. “Frederic’s experience and reputation is almost unmatched. He has a deep understanding of the European ‘Internet of Things’ markets. This is key to Monnit’s growth and success as we focus more on International sales and partnerships. His success speaks for itself. His extensive knowledge and expertise makes him an immediate contributor to our team. This is another great move by Monnit in cementing our position as the global leader in remote monitoring in IoT. We are excited to welcome him to Monnit”, said Brad Walters, Monnit Founder, CEO and Chairman. Luu brings over 25 years of experience in the technology space, where he served most recently as the Vice President – Asia and EMEA, Sales and Marketing for Digi International. Luu is respected as a business thought leader in the Internet of Things, having contributed large revenue numbers and also participated several times as a keynote speaker for various International technology conferences. “I am enthusiastic about the opportunity to join the Monnit team. Monnit’s market presence and breadth of offering along with their reputation for quality and reliability will make them a leader in International IoT”, commented Luu. Monnit is a global leader in the design and manufacture of low-cost turnkey monitoring solutions for commercial, industrial and consumer markets, recognized by CRN as one of the “20 Coolest IoT Hardware Vendors,” for its innovation, devices, analytics and infrastructure that have transformed and improved the way we work and live. Most of the people who know about Monnit and regularly use our products are only familiar with sensors and gateways. These pieces of wireless technology are what Monnit is known for, but there are a couple of other lesser known products we wanted to highlight today in this blog post. Below are 4 additional offerings which could improve an existing network in your business today. The Monnit Wireless Local Alert provides another way to receive critical notifications and sensor readings through your iMonnit network. Upon receiving a notification, the Local Alert can flash an LED light, sound an audible alarm, and display critical notification information. The Local Alert can also be used to display sensor readings from any sensor on the same account. Monnit Wireless Control allows a user to control two separate power relays through the iMonnit online sensors portal. Automatically control motors or electrical devices when a condition is detected by a sensor or group of sensors. Relays can also be controlled manually through the online portal or mobile app. 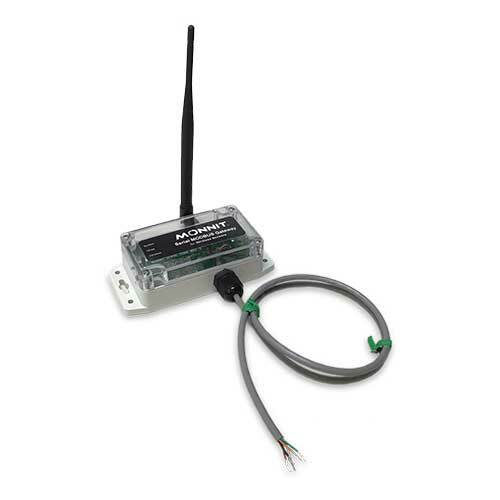 Monnit Wireless Range Extenders allow you to extend the coverage area of your wireless sensor network by relaying the signals between your wireless sensors and the wireless gateway. 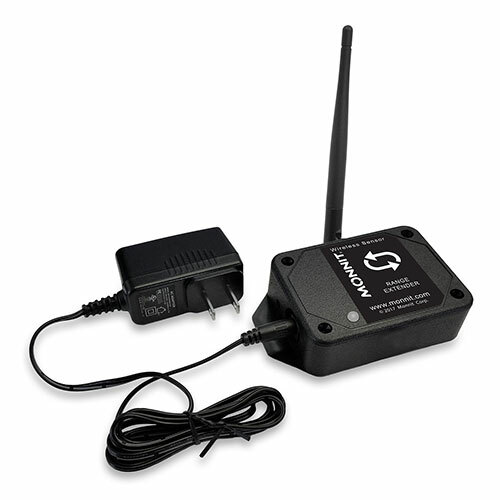 The Monnit Serial MODBUS Gateway acts as a data concentrator for Monnit wireless sensor networks. This device incorporates Monnit’s Access Point Node (APN) and Serial RS-232C and RS-485 Interfacing hardware.